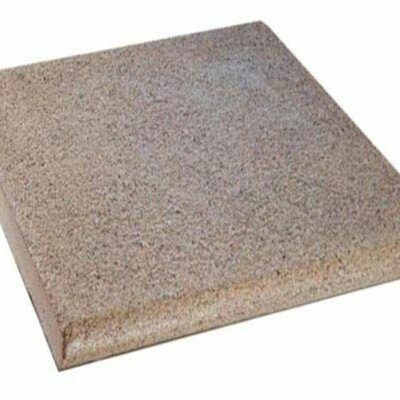 GRANITE COBBLESTONES ON MESH IN 25MM THICKNESS SUITED FOR PAVING ON A CONCRETE SLAB. 107CM X 66CM SHEET SIZING. THESE ARE NOT STOCKED BUT CAN BE ORDERED IN. FAN SHAPE COBBLE STONES ON MESH PRICE $99m2 UPWARDS DEPENDENT ON COLOUR AND SURFACE FINISH TO YOUR SELECTED COBBLE STONES.